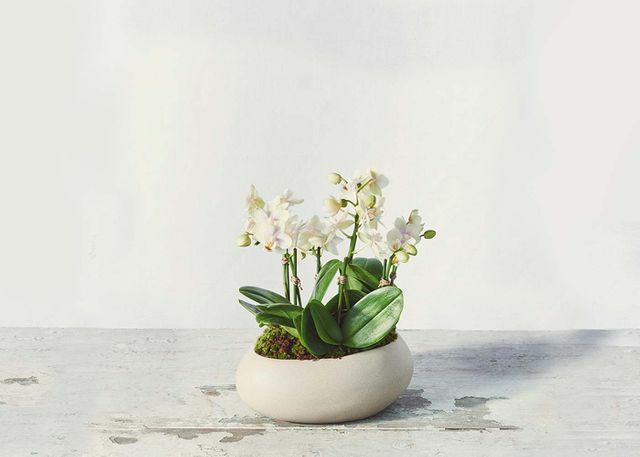 These irresistible white micro orchids make a perfect office companion and beautify any small room in your home. With minimal care, they can continue to bloom for over two weeks, so get used to the love affair. 6"-8" Mini white orchid in 7.25” x 5.75” x 3” ceramic bowl. Total height: 9"-11"